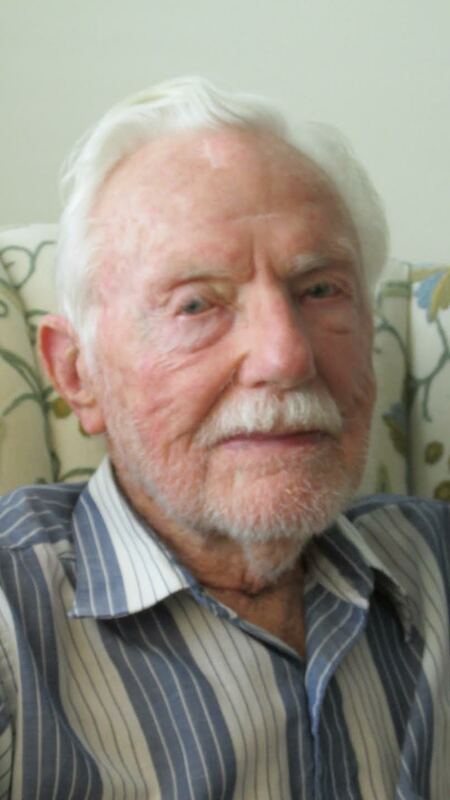 John Dexter of Jacaranda Trace apartments in Venice, Fla. was already an electrical engineer working for Dow Chemical Co. when World War II broke out in 1941 for the United Sates. 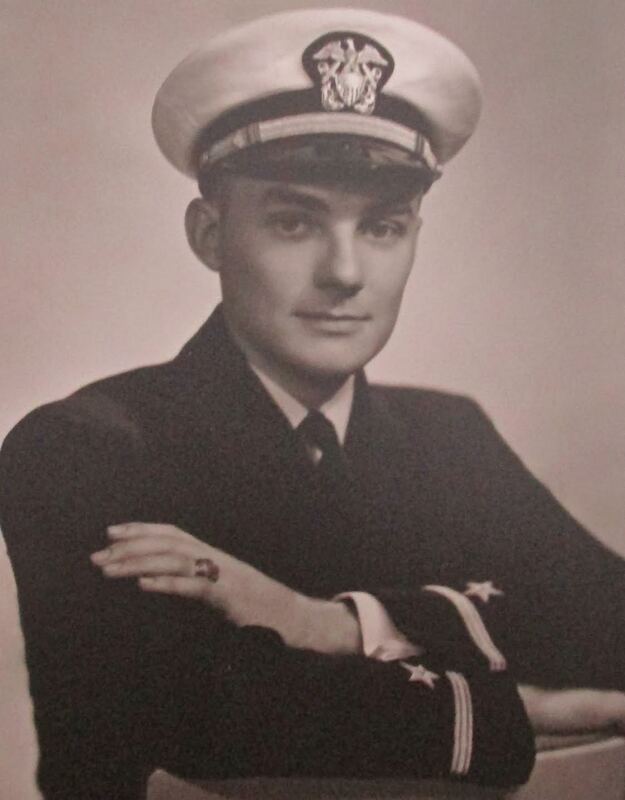 “One day I had a surge of patriotism and went down to see the recruiter in Detroit,” the 95-year-old former Navy man recalled. “I ended up as an operations officer in mine warfare. “Magnetic mines perfected by the Germans were very effective. They were laid by submarines, PT-boats or airplanes at the entrance to enemy harbors,” Dexter said. “When ships sailed over them their magnetic field would set them off. “I got put in Mine Warfare and sent to mine sweeping school in Norfolk, Va. to begin with. I spent six weeks there learning how to sweep mines with a group of officers before being sent off to submarine, PT-boat and attack bomber school to learn more about how mines were put down. During the early part of WW II the Germans almost put the English out of the war by mining the entrances to British harbors. “At one point early on England had almost run out of aviation gasoline because her harbors were mined,” Dexter explained. Gen. Hermann Göring commander of the Luftwaffe, suggested to Hitler Germany’s harbor mining effort should be discontinued. He said the Führer should call in the air force to bomb some of the English cities and force them to capitulate. Hitler followed Goering’s bad advice and saved England from the jaws of German victory. “If the Germans had kept up mining England’s harbors she probably would have collapsed, but they didn’t. It’s one of Hitler’s biggest mistakes,” he said. “The mines we worked on looked like a torpedo. These mines could be fired from the torpedo tubes of subs or PT-boats or dropped by parachute into the sea. “The whole idea of mine warfare was to deny the enemy the use of their harbors,” Dexter said. Although the Germans were successful in mining many Allied ports in Europe, they never tried to block the entrance to ports in the U.S.
Dexter and his fellow mine officers were sent to the Pacific Theatre to ply their trade. “We mined the Mekong Delta in Vietnam during WW II, the entrance to Singapore Harbor after the Japanese took it from the British and the harbor at Rabaul, a major Japanese airbase complex on New Guinea in the South Pacific,” he said. “Right after the war I was sent to Asia. My job was out there for six weeks to find out how effective Japanese mines were. I started in Japan where I had all the access to Japanese operational data. Dexter and his wife, Kate, came to Florida three years ago. They have five children: John, Bob, Carolyn, Stephen and Neil. This story was first published in the Charlotte Sun newspaper, Port Charlotte, Fla. on Monday, Dec. 22, 2014 and is republished with permission. Thank you for everything, Mr. Dexter and you, Don, for reporting the story. Merry Christmas to you and yours.